GENRE IS DEAD! Interview with Jeremy Lenzo from Mayday Parade - GENRE IS DEAD! On Friday, long-time rock band, Mayday Parade, released their sixth studio album. For them, Sunnyland is more than just an album. Having been named after an abandoned hospital that holds countless good memories, Sunnyland is a reflection of their evolution as a band. This record is evidently inspired by their past and advancement towards their future as these songs are not only reminiscent of their earlier sounds, but showcase how Mayday Parade continue to dig deeper lyrically. 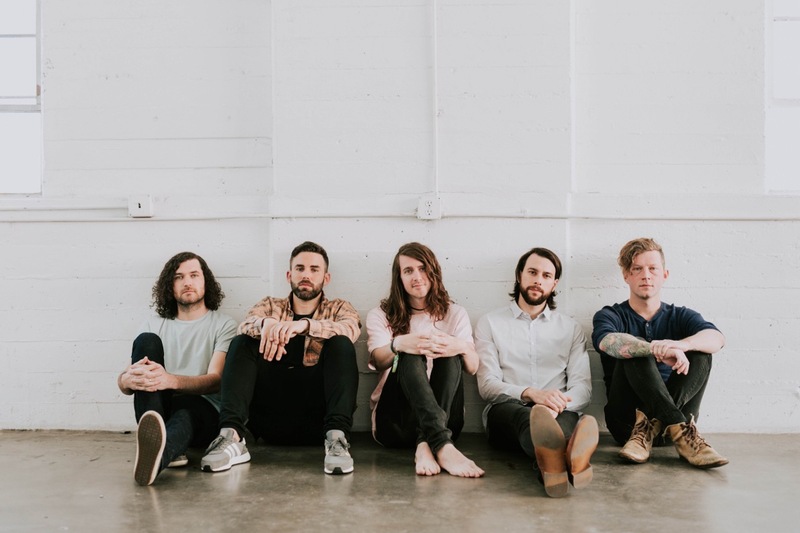 We were fortunate enough to chat with Jeremy Lenzo, bassist of Mayday Parade, about the band’s past, present and future as they prepared for Sunnyland‘s release and their final Vans Warped Tour. GID: Congratulations on your upcoming record, Sunnyland! You currently have three songs out (“Never Sure”, “It’s Hard To Be Religious When Certain People Are Never Incinerated By Bolts Of Lightning” and “Piece of Your Heart”). When listening to these singles, it’s evident that you put a lot of yourselves into this album. How do you balance writing from five individual experiences? Jeremy: Since we all write it does make it a little difficult to bounce ideas off each other when we all live in different states. What we tend to do is have everyone write individually for a couple months, and then we all fly to meet each other somewhere and show all the songs we have been working on, and try and work out which songs have the most potential. We normally do this for two weeks going trough everything. Then we split up again and everyone thinks about those songs, and continues to write new songs, and then we get back together again to sort of finalize everything before we go in the studio. This time around we have over 80 songs we were trying to narrow down which took a long time. GID: I’ve read that your song “It’s Hard To Be Religious When Certain People Are Never Incinerated By Bolts Of Lightning” was inspired by the 2016 presidential election (which I love by the way). Are there any other specific events that directly inspired some of the tracks on Sunnyland? Jeremy: Most of the other tracks are inspired by personal experiences, just things that have happened in our life. Nothing that would be well known to others, but hopefully something they can still connect with in their own life. GID: Earlier this year you announced that you had signed to Rise Records, how has this transition been for all of you? Jeremy: It’s been a very easy transition. We still love Fearless records, but we wanted to try something new this time around, as Rise has been working very hard on promoting the record. We are very happy with what they have been doing. GID: Besides working with multiple producers for Sunnyland, are there any other outside influences that you drew from for this new album? Jeremy: Most of the influece comes from things going on in our own lives, so besides working with new producers I don’t think much else has changed. GID: Okay, I think we have to address Warped Tour. You’ve been to and have even headlined five prior Warped Tours and this year you will be on the final full, cross-country run. How does it feel to have been part of Warped throughout the years and to be a part of it as it comes to an end? Jeremy: Warped Tour has been very influential in our bands success. We started our band selling records outside of warped tour, and since then we have been playing warped tour every other year. We are happy they asked us to do the last tour, since it has been such an important part of our career, but at the same time sad that this is the last one. GID: Being around as long as you all have been, do you still get nervous before playing shows? How do you prepare to play such large audiences? Jeremy: I always get a little nervous before we go on stage, but as soon as you step out on the stage you aren’t thinking about that anymore, you’re in performance mode. Any of the nervousness you had is gone by that point. GID: Did being a part of Warped Tour throughout the years bring any experiences that helped shape you all as a band? Jeremy: Warped Tour is like a boot camp for bands. If you can get through warped tour and come out of it still a band, then you’re doing something right. That’s not to say it’s hard necessarily, but some bands just can’t do it. We really love warped tour and always look at it as something to strengthen our band. GID: Aside from your newest releases, how do you decide which songs make it on your setlist? Jeremy: Since we have 6 albums now, it makes it a little difficult. We normally try and just choose the crowd favorites, the ones you can obviously tell people gravitate towards from an album. Then we sprinkle in some deeper cuts to round it out. Jeremy: I think it’s important to take into account all of your work, and see what the fans are wanting from a new release. If you do something and everyone hates it, it probably doesn’t make sense to do it again. We have tried to move forward musically while still touching on things that our fans expect from our band. Once the album comes out I think they will see it has a little bit of all our albums in it. GID: I’ve also read that there is a lot of sadness in the songs on Sunnyland, but “it’s always a good thing to get those feelings out”. I can only imagine that it must have been an emotionally draining songwriting process. How do you manage to continuously pull from these hard times to create songs that still retain a sense of optimism? Jeremy: We know a lot of people look to our music to get through hard times, and maybe subconsciously we try and write songs to cater to those needs. I don’t think it’s something we ever decide to do, we just write what comes out and try and make a story that is relatable and carries emotion. GID: What do you hope that your fans ultimately take away from Sunnyland? Jeremy: I don’t know, maybe that it’s ok to hurt, be angry, or sad. That those are normal emotions everyone feels, but that you can pull yourself out of that and move forward. 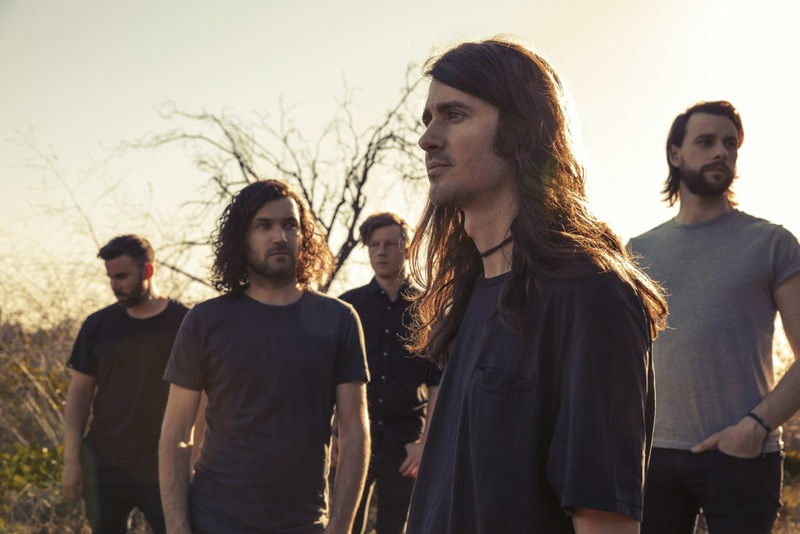 Mayday Parade’s new album Sunnyland was released on June 15th via Rise Records. Get it here, it’s awesome!